It amazes me when I visit a call center for the first time and see how ill-equipped some call center management teams are when it comes to having the right technology to manage their teams. While there are many standard features in Inbound ACDs and multichannel call management platforms, there are three technology features that are absolutely essential for call center vendors. It is crucial for every inbound call center to have an excellent inbound dashboard. Most inbound call center vendors have a program manager that is in charge of monitoring the various inbound queues. This person is typically looking at a lot of different things at once in real-time. How many calls are in queue? How are the volumes trending? Are the volumes higher or lower than forecasted? Are incoming calls waiting longer than they should? Are we within service level? What is the agent utilization %? Do we have agents that are sitting idle that could be utilized elsewhere or blended? Now take those questions and apply them across 10 different inbound campaigns. A good inbound dashboard gives that manager the key information in a single real-time view. In addition, you should be able to see at a glance every agent and see the status an agent is in. You should be able to customize a dashboard to see all relevant information on an ongoing basis. Most inbound call systems accomplish this beautifully, and that’s why when I see someone working without those tools, I get very concerned. Without a real-time inbound dashboard, the management team will struggle with staying on top of the key metrics, making it difficult to make real-time decisions. For example, if a manager or supervisor has to run a report that takes five minutes to run just to see what your service level is sitting at, then that reporting tool is most likely not adequate. 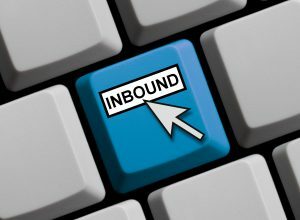 It’s all about the visibility, and you can’t fly blind when appropriately managing inbound programs. Any good inbound ACD is going to have skills-based routing as a standard feature. If you are managing even a moderate volume of inbound volumes with any combination of queues or programs, skills-based routing is critical. At QCS we have a particular program for a client that has several different queues. Each queue varies dramatically in complexity, skill level required, and the amount of training and knowledge needed in order to serve the needs of each customer. It would be impossible to throw every agent in every queue right off the bat and expect them to deliver good customer service. We train each agent on the easiest queue first, and then continue to train on the other queues as they get more experience and have mastered what they learned first before giving them more to handle. However, even after everyone knows how to handle calls in every queue, it is still helpful to use skills-based routing to specialize the team members. Some agents are better at handling cancellations and returns. Some agents are better at taking orders because they have a better skillset at growing an order. Some agents thrive on handling calls that are the one-off crazy scenarios that are difficult to train for. Skills-based routing allows you to rank your agents in each queue to ensure that your top sales agents get the most calls from customers calling in to order. It’s natural that different people are going to perform differently with different types of calls and why wouldn’t you want to maximize those skill sets accordingly versus spreading the calls out evenly? Most call management systems have call monitoring and call recording options. However, I’ve found that in some instances the system isn’t built for ease of use and real-time management. It’s important to have easy access for management to find and pull recorded calls. However, in addition, it’s also important to have good options for live call monitoring. This is where I tend to see some pain start to filter in. Most systems have the ability to listen to calls in some shape or form, but how easy is it? If my inbound program manager sees that an agent is on an abnormally long call, that manager needs to be able to patch in to that call immediately to provide assistance or coaching if needed. If it’s a five-minute process to get tapped into that call, then it may be too late. It’s also important to have the ability to coach the agent while monitoring. Coaching features like chat, or the ability to “whisper” into the agent’s ear, or to even take over the call are all important features. Additionally, while on the call center floor, it is crucial for the supervisors to be able to have a phone or headset that allows them to listen to call while working the floor. It’s also important to be able to quickly change from agent to agent while mobile on the floor. This part is key and something that I frequently see as a pain point. Once a supervisor decides they want to listen to a particular agent, it should not take five minutes to change from listening to one agent to another. Ease of use drives the daily use of these key management tools in the call center. Make sure your call center vendors have these three tools at their fingertips at all times and you’ll be certain the teams have what they need to be successful. This entry was posted in Articles and tagged Inbound Call Center, Inbound Telemarketing Services, Operations Consulting on April 12, 2018 by .